Healing is a power that fifteen-year-old, Brenna Finlayson, has fought long and hard to subdue. When a harebrained idea suddenly occurs to her, she risks losing everything by revealing herself to the one person she fears losing the most. 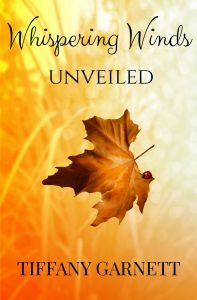 Brenna’s spontaneous unveiling brings about the revealing of other truths. She, and her twin sister, Keely, have destinies to fulfill. Destinies that require them to fight. Maybe even kill. As an innate healer, violence is the last thing Brenna wants. In an attempt to live a normal, peaceful life, Brenna rejects her heritage, choosing a different path. But the path she chooses doesn’t bring her the normalcy she was hoping for. My fourteen-year-old son wanted me to write a story that teens could read. Of course he thought the story would be geared towards boys, since that's all I have in my household, but that wasn't the case. He read the story anyway and really liked it. He's been begging me to tell him what happens in book two. I feel like a lot of stories have young girls that are called to be heroes and end up being awesome fighters that lead the 'good' in a fight against the 'bad'. But what if you were called to be a hero and you didn't want to be? And to top it off, you sucked at it? Well that's Brenna in my story. She only wants to be a 'normal' teen-aged girl, she's a terrible fighter and has no desire to get better at it. I wanted to write a character that would represent the shy quiet girl, who never wants to be in the limelight. I think I succeeded with Brenna Finlayson.